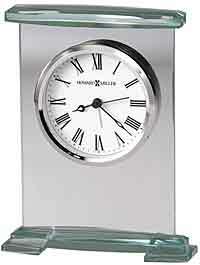 This larger table clock can double as a small profile mantel clock. 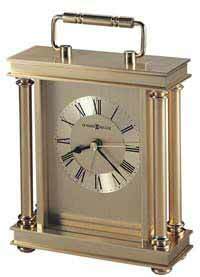 Finished in brushed and polished brass, this heavy, metal carriage-style clock boasts classic good looks. The brushed brass-tone dial is accented by a circular spun numeral ring with diamond-cut edges and black Roman numerals behind a glass cover. 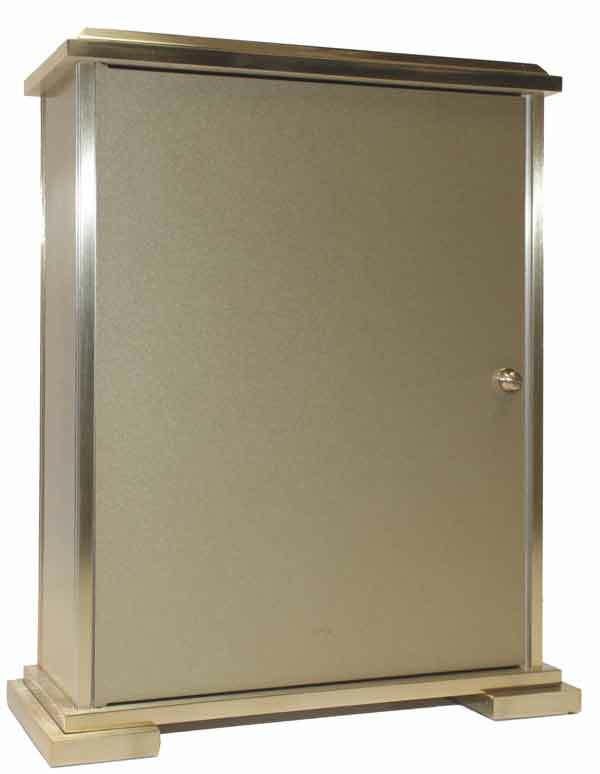 A brass, finished back door conceals the movement. Black, open fret-cut diamond hour and minute hands and a brass second hand lend an elegant touch. A felted base protects your table top. 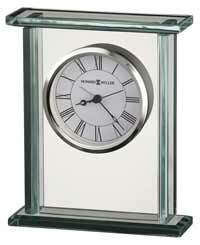 Accurate Quartz movement includes battery. Size: Height 8-/4 inches, Width 7-1/4 inches, Depth 3 inches. 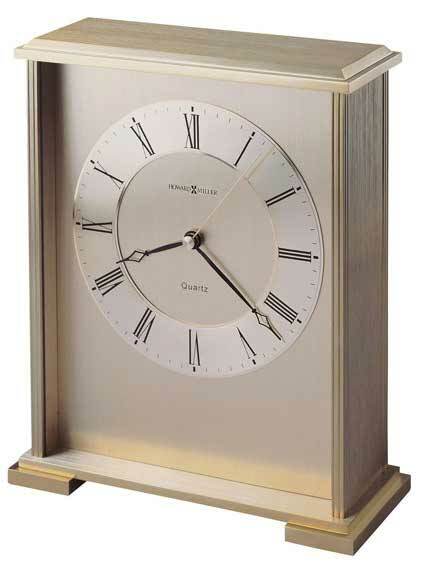 Clocks for sale at The Clock Depot including the 645-569 at discount prices.